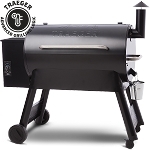 6"-9" Produces smoke for up to 2 hours in the 6" position and 3 hours in the 9" position during Cold Smoking or while supplementing smoke at 225 degrees + in your grill or smoker. 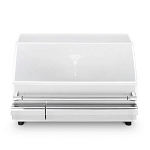 12"-18" Produces smoke for up to 4 hours in the 12" position and 6 hours in the 18" position during Cold Smoking or while supplementing smoke at 225 degrees + in your grill or smoker. Designed to supplement smoke at cooking temps in pellet grills and smokers. Can also be used for cold smoking. Works GREAT in gas grills too!! The A-MAZE-N EXPANDING TUBE SMOKERS come with caps already on them, one closed end and one open end. Additional caps are NOT needed when purchasing this item. The replacement caps will not fit on the oval expanding tubes. Experts that care and personally handle every order. Safe and secure processing from order to delivery. We are passionate about BBQ and dedicated to helping customers create exceptional outdoor culinary environments. BBQ Island was founded in 2002 and has grown to one of the largest retail BBQ and outdoor kitchen stores in the Western United States. With three store locations in Arizona we still consider ourselves a small business at heart. That means we personally hire people that are knowledgable and want to help you find the perfect grill that suits your needs. You can call us anytime at 877-474-5669 or email us at [email protected], we are here waiting to give you the best experience possible!